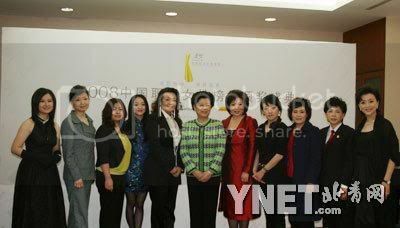 March 1st, Chinese women federation, Cartier, Sina, Yangguang media group ... together held a ceremony in Beijing to praise 10 outstanding Chinese women in 2008. 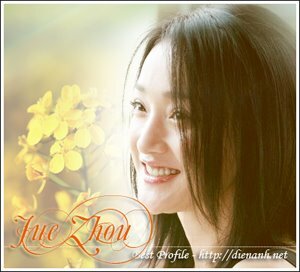 Due to big contribution to environment protection and remarkable result in acting, Zhou Xun is elected for the honorable prize. 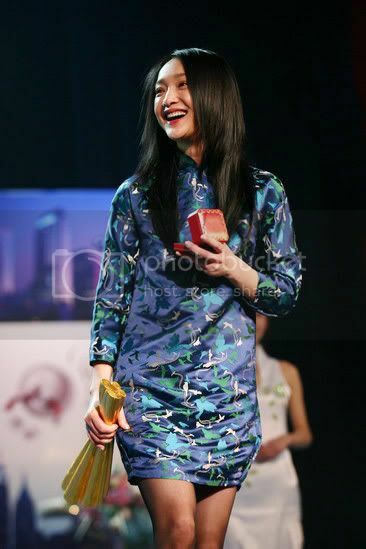 When Zhou Xun arrived at the ceremony, everybody saw that she was wearing the same dress as in "Painted Skin" premier in Hong Kong last year. 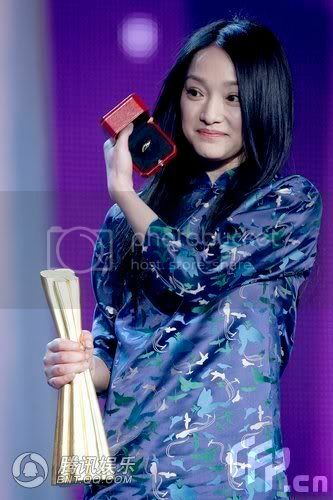 In showbiz, it is very rare to see stars wear the same clothes in different activities, but Zhou Xun is an exception. 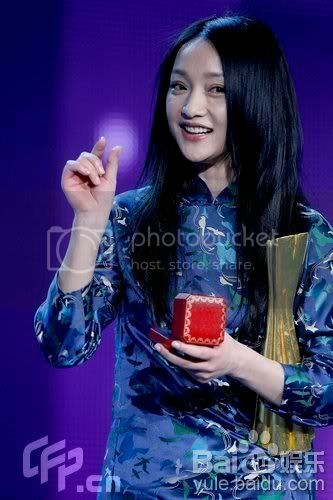 Once she said, instead of one dress for one event, she often uses same dress in different events. This not only saves money but also protects environment. 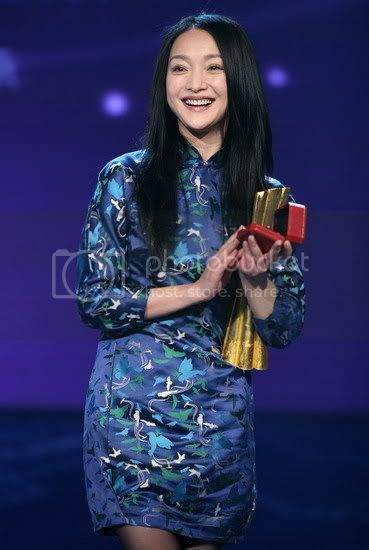 To be an actress for 17 years, Zhou Xun thought that what she has done hasn't been insufficient, but she felt honoured to receive this award. It would be motivation for her career in 2009.